Republicans remain in charge of the House, but it won’t be the same Republicans leading many committees. Speaker John Boehner, R-Ohio, is poised to run the chamber for the fifth straight year, but nine committees are getting new heads, providing an opportunity for fresh faces to make an impact on issues such as defense, government spending and taxes. Among the lawmakers who will serve as new leaders are some well-known names, including 2012 vice presidential candidate Paul Ryan, who will take the reins of the tax-writing Ways and Means Committee. 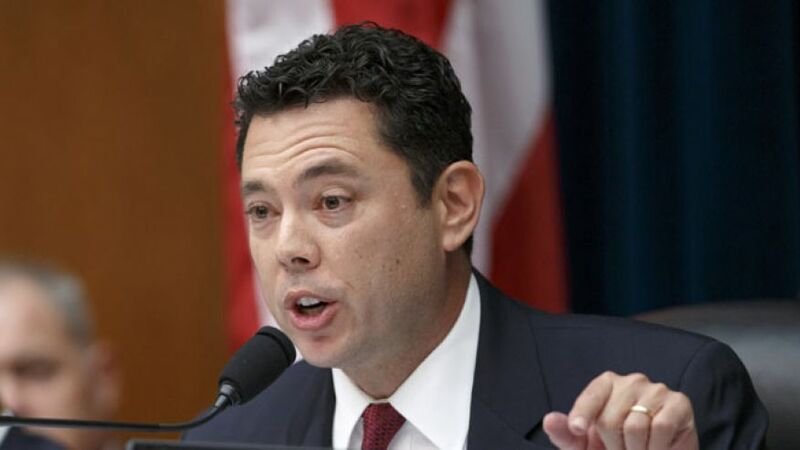 Rising star Jason Chaffetz of Utah will assume the chairmanship of the Oversight and Government Reform Committee, a panel that has been an irritant to the Obama administration the past four years under term-limited Darrell Issa of California. Under GOP rules, Republican members can only serve three terms as a senior member of a committee, unless they are granted a waiver by the Republican Steering Committee, a group of party leaders largely controlled by Boehner and House Majority Leader Kevin McCarthy of California. With Oklahoma’s Frank Lucas term-limited, Michael Conaway of Texas will become the new chairman. Conaway, 66, led the Ethics Committee in the previous Congress. He has been aiming for the Agriculture chairmanship for some time, helping Lucas craft the farm law and lobbying fellow Republicans to support it. Conaway is a strong supporter of traditional agriculture. He said he wants to do a “thoughtful, thorough review” of the food stamp program, now called the Supplemental Nutrition Assistance Program. Conaway has supported requiring cost-benefit analyses of financial regulations as part of the panel’s oversight of the Commodity Futures Trading Commission. Mac Thornberry of Texas will take over the Armed Services Committee. Thornberry, 56, has served as the panel’s vice chairman, focusing on reforming defense contracting and the Pentagon’s half-trillion-dollar budget. Another round of automatic budget cuts in 2015 is certain to be an issue for the committee and its defense hawks, who would like to undo the reductions but face opposition from lawmakers more worried about budget deficits. Georgia’s Tom Price, 60, a bookish conservative and orthopedic surgeon from the Atlanta suburbs, will succeed Ryan as chairman of the Budget Committee. Price worked closely with Ryan in assembling prior GOP budgets and he’s likely to take a similar approach by drafting a budget that reduces the annual deficit to zero within 10 years. An aide says Price is committed to preventing entitlement programs that benefit the elderly — Medicare, Medicaid and Social Security — from becoming insolvent. Devin Nunes, 41, of California will head the Intelligence Committee. Nunes is close to Boehner, who hand-picks the chairman of the committee. Nunes has promised strong oversight of the intelligence agencies. Utah’s Rob Bishop will take over the Natural Resources Committee. Bishop has led the subcommittee overseeing public lands, pushing for more oil and gas leases on federal land. Bishop has accused the Obama administration of using the Antiquities Act to unilaterally designate public acreage as national monuments off limits to developers. Bishop, 63, has opposed wilderness declarations and has pushed for more logging in federal forests to reduce wildfires. He also has complained that the endangered species law is being used as a tool to stifle energy development, particularly in the West. Chaffetz headed the national security subcommittee, leading the investigation into security breaches involving the Secret Service and giving him a high-profile perch. He is less confrontational than Issa and has reached out to Democrats on the panel, including ranking Democrat Elijah Cummings of Maryland. Issa has been a major antagonist of the Obama administration, leading investigations on the Internal Revenue Service, the deadly attack in Benghazi, Libya, and other issues. In the process, Issa has alienated not just Democrats but also some Republicans with his confrontational style. Chaffetz, 47, has made it clear he would do things differently. A strong conservative, he is liked by fellow Republicans and viewed as being dogged but not shrill in his committee role. He’s also seen as a bridge to a younger generation. As chairman of the Budget Committee, Ryan became a rising star among conservatives — and a villain among some Democrats — for his blueprint that slashed spending for safety-net programs for the poor, remade Medicare and cut personal and corporate taxes while pushing the deficit down to a manageable level. Now he will take over as chairman of the committee with jurisdiction over taxes, trade, Social Security and health care. In 2013, Ryan successfully negotiated a modest bipartisan deal with Senate Budget Committee Chairman Patty Murray, D-Wash., that eased the painful spending cuts of the budget sequestration. But can he work well enough with Democrats to do something really big, like overhauling tax laws or addressing Social Security and Medicare? The post could provide a platform for the 44-year-old Ryan to build his congressional resume, or even launch a possible bid for president in 2016. — John Kline of Minnesota will remain as chairman of the House Education and Workforce Committee. Kline, 67, has been the panel’s top Republican since 2009 and its chairman since 2011. He’s sought to shift more control of federal education spending to states and local school districts. He’s also a big supporter of charter schools. — Jeb Hensarling of Texas will serve another two-year term as chairman of the Financial Services Committee. Hensarling, 57, is a favorite among the party’s most conservative members but has been on the losing side in fights over federal flood insurance and other issues. — Jeff Miller, 55, of Florida will continue as chairman of the Veterans Affairs Committee. Miller’s oversight of the Veterans Affairs Department focused on long waits for initial medical appointments experienced by many veterans and falsified records covering them up. He co-authored the $16.3 billion VA overhaul last summer that makes it easier for veterans to get VA-paid care from outside doctors. — Several other current chairmen will also keep their posts in the new Congress. They include Hal Rogers of Kentucky at Appropriations, Michigan’s Fred Upton at Energy and Commerce, California’s Ed Royce at Foreign Affairs, Michael McCaul of Texas at Homeland Security, Robert Goodlatte of Virginia at Judiciary and Bill Shuster of Pennsylvania at Transportation and Infrastructure.